Drain blockages can be a stinky affair. How many times have you been in the shower and the water would just keep accumulating into a mini-pool, as its exit is clogged? Or while washing your face over the wash basin, the water goes down very slowly, and hence continues to collect until the tap is nearly submerged? You certainly do not want to leave such a messy affair to remain untended, which is why you would do well to get yourself a toilet unclogger. Such uncloggers dissolve the accumulated dirt in the pipes with a chemical assault. Want to know what could be the best toilet unclogger liquid to use in such a situation? Read on.. This comes equipped with a thick bleach formula that attacks even the toughest clogs to drain them quickly and efficiently. No matter how clogged your drain is, this can be poured into the stagnant water, directly into the clogged hole. Its fast action ensures that you have unclogged drains within 15 minutes. The good thing about this product is that you can leave it in overnight and wake up to find your drain unclogged and clean! 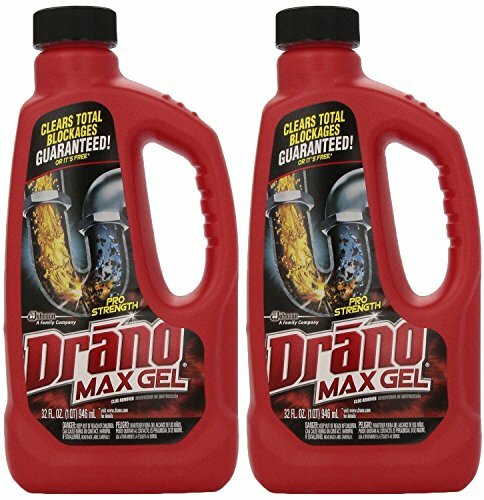 Drano Max Gel clog remover works best on gunky, gluggy clogs and is ideal for removing soap, dirt, and hair. The usage depends on the intensity of the clogging. For slightly clogged drains with slow running water, 16 oz is sufficient, whereas for super clogged drains with stagnant water, double the amount to 32 oz for quick results. The waiting time would be 15 minutes for the former and 30 minutes for the latter. The next step involves flushing out your drain with hot water. You can use it repeatedly for best results. Best for tough drains – removes all kinds of tough clogs, gunk, and scum to clear your drains. Special thick bleach formula that removes clogs instantly. Anti-corrosion formula that makes it safe to work on metal pipes, garbage disposal systems, and septic tanks. Comes with an exciting money back guarantee if you don’t get desired results. Second on our list is Green Gobbler’s new creation, called the Dissolve Liquid Hair and grease clog remover. Almost all of us would agree that the most irritating thing about clogged drains is stuck hair. It is the singular most awful thing that we look to get rid of. Well, this liquid hair clog remover is here to make your job easier, as it breaks down fragments of hair stuck in your drains. It also liquefies oil and other dirt thus allowing for free passage and cleaning up your drains. 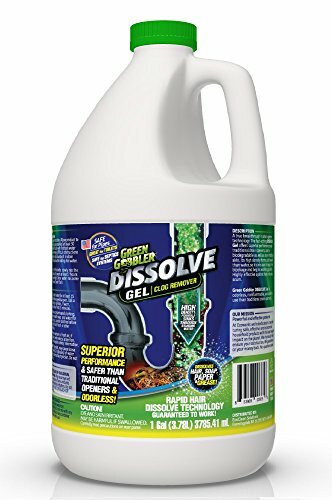 DISSOLVE’s unique high-density formula ensures clean drains as it clings to the walls of the drainpipe, and liquefies all the paper, scum, sludge, and other material to clear blockages. 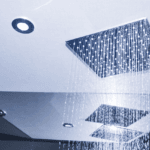 Its usage changes depending on the type of drain. For residential toilet drains, pour the liquid into the toilet and flush. For Sinks and Tubs, pour 0.5-1 quart of the liquid into the drain, and wait for 30 minutes. Then, flush it with hot water. For tough clogs, repeat the above procedure or you could also leave in the liquid overnight, and then flush it with hot water in the morning. Contains no harsh chemicals. Thus, it is safe for your pipes, drains and disposal systems. Rapid dissolve technology makes it versatile and can be used on all products right from basement sewer pumps to sinks to toilets. The product has far-reaching effects as the liquid distributes into your complete drainage system and clears any and all clogs along the way. Can be used monthly for best results, without the fear of corrosion of pipes. 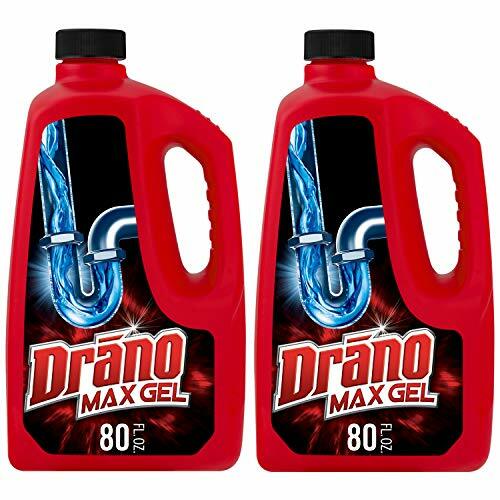 Drano products are as we have seen, extremely potent, and no amount of tough clogs can stand the assault of the chemicals that Drano Max Clog Remover brings along. 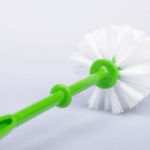 The product begins action in exactly 7 minutes, and while it is safe on all types of pipes, it totally obliterates whatever causes them to clog. One of the top choices in the category should you feel the need to clean up your plumbing, be it in the bathroom, the laundry sink, or the shower, or the kitchen, or a workshop, or a garage. Wherever there’s a problematic drain, you would love to treat it with the Drano Max Clog Remover. The thickened bleach formula in the product cuts through standing water and clings on to any kind of tough clogs, and blasts through them like dynamite. 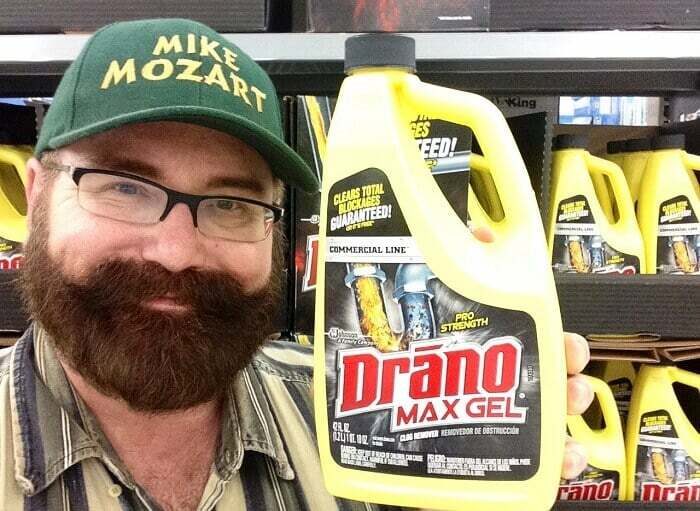 Any problem with the plumbing in your home, go buy the 32 fl oz Drano Max Gel Clog Remover right away! 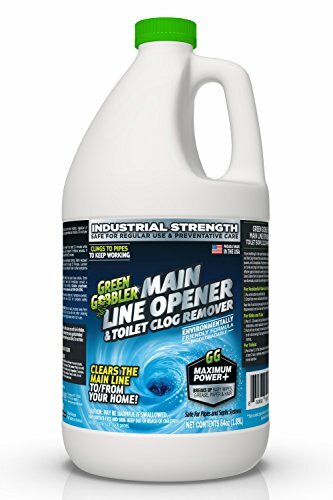 The Green Gobbler Ultimate Main Drain Opener is an extremely strong industrial strength mail-line drain opener. Whether you are faced with tough clogs in toilets, tubs, and sinks, or have to get rid of liquefying oils, sludge, fats, and grease, this product will ensure that nothing will remain un-cleaned. The product’s high-density formula will sink and cling on to whatever is causing the blockage and will dissolve the build-up in fewer than 30 minutes. The product does not harm the popes in any way and does not contain any harmful chemicals including sodium hydroxide. Instead of NaOH, it contains a patented chemical blend which is highly effective. It can also be used in a kitchen sink and in a garbage disposal, although it could be too strong for these uses. Customers are advised to use the product once a month. 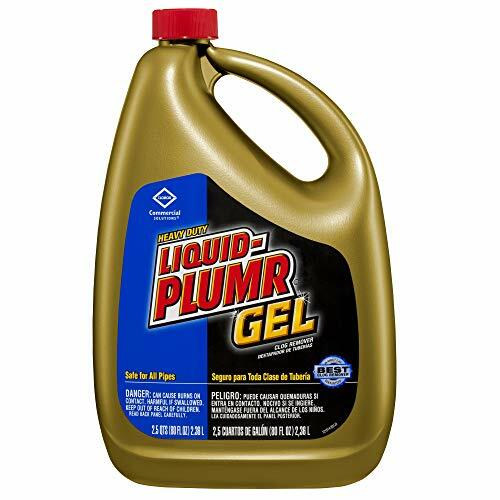 The Liquid Plumr clog remover by Clorox solutions is on our list due to its ease of use and its rave reviews by the customers. This heavy-duty cleaning compound is the one-stop solution to any and every kind of clogged drain. From oil to scum, to organic material, to hair, and even grease, this liquid clog remover works on everything. Its fast acting technology unclogs a drain within 15 minutes and cleans your drainage system. This product is mainly used for bathroom and kitchen sinks. It is extremely safe and finds use in households, schools, restaurants, offices and other public places. The usage includes 2 cups of the liquid for regular clogs and 4 cups of the liquid for tough clogs. Let sit for 15 minutes and flush it out with hot water. The only disadvantage of this product is that it can’t be used in stagnant water. This means that you have to wait for the water to slowly drain before you can use this. Anti-corrosive properties ensure safety and preserve the septic tanks, kitchen pipes, and disposal systems. Fast acting on even the toughest of clogs. Reasonably priced, so light on your pocket. Works on oil, grease, muck, soap, paper, sludges, as well as hair. It is ready to use, i.e. it needn’t be mixed with any other chemical. This saves a lot of time and avoids additional cost. This innovative product is the new intensive drain opener on the market. With its safe as well as strong, powerful;-action formula, this drain opener works on all kinds of drains and clogs. 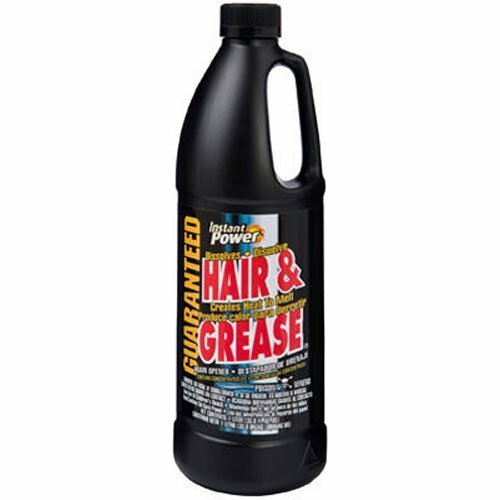 With far-reaching effects, it seeps deep into the drains and unclogs all kinds of muck, grease, fats, oils, hair, and soap bits. However, it doesn’t work on plastics, paper, or particles of food. 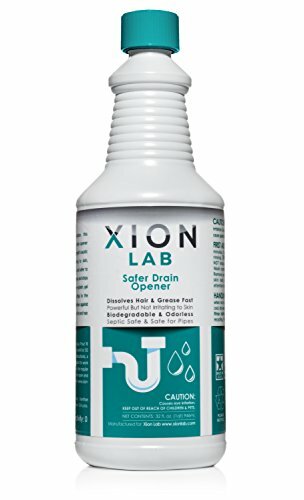 Xion Lab gel drain opener is most effective on kitchen sink drains, central sewer lines, as well as all bathroom and toilet, drains including bathtubs, sinks, toilets, and shower drains. This drain opener quickly dissolves grease and hair and clears up your drainage system in minutes. It is biodegradable, non-flammable, and safe around children. Its usage includes 16 oz of the product for a clogged drain. Let it work for 30 minutes, and then flush it out with hot water. For tougher clogs, let the product sit for 5 hours or overnight. It’s tough action formula completely clears up your drains without leaving behind any kind of odor. Non-splash, thick liquid that removes the toughest clogs in minutes. NSF registered safe product which is non-acidic and completely protects your pipes and drainage system from corrosion. Guaranteed 100% cashback if you don’t get desired results. Easy-to-use and can be used at weekly intervals to ensure smooth flow and clean drains. Doesn’t harm the enzymes necessary to keep your drainage system up and running. Shaw R2x Green Hard Surfaces Flooring Cleaner is extremely environment-friendly and is E.P.A. approved for its environment-friendly design. This special formula uses a unique anti-soiling compound combined with ionic and anionic surfactants which get off the toughest stains from the floor. This product is designed to work on all floor surfaces including hardwood floors, laminated flooring, vinyl as well as ceramic tiles. This is a no-rinse product and is effective on tough stains, grease, muck, and dirt. It easily removes stains and leaves a protective covering on the floor surface which prevents other gunk and dirt from sticking to it. What sets this product apart is that unlike other floor cleaners, it doesn’t leave behind a residue, which may attract dirt and dust, thus spoiling the area again. Instead, its protective covering ensures that your floor surfaces remain clean for longer durations. Before applying the cleaner, it is recommended that you sweep or vacuum the floor to get rid of the top layer of dust and dirt. Then moisten a small section of the floor and clean it off with a smooth cloth or cleansing pad, then move on to the next section. Works best if used weekly. E.P.A certified, eco-friendly, and safe to use product. Removes toughest stains from all kinds of waxed and polished surfaces. Doesn’t leave behind any residues that may attract dust and dirt. Doesn’t require any kind of rinsing post use. Easily removes dirt, muck, grease, and scuffs. Another popular name in the world of drain openers, the Scotch Corporation 1969 drain cleaner is the optimum solution to remove hair from clogged drains. Touted to be the strongest non-acid formation in the market, it dissolves hair and grease from clogged drains and clears up your drainage and sewer system within minutes. This product works best when allowed to sit overnight. This way it reaches in deep and gets rid of all the gunk and muck in your drains, thus unclogging them efficiently. Since this is a powerful formula, it is recommended that you wear safety goggles to prevent against exposure to Lye. It is also advised that you clear the standing water before adding in this drain opener. Its usage is 2-4 cups of the product into the drain. Wait for at least an hour and flush it with hot water. The longer this product is allowed to remain in the drain, the more effective it will dissolve the blockages. Heavy duty action that dissolves hair clogs instantly, clearing your drain completely. Non-acidic compound makes it safe for all your drainage and septic pipes. Up to 20 times stronger than other drain openers, it is one of the strongest products on the market. A special heating technique, which loosens and melts away the grease, thus unclogging your drain. Can be used weekly for best results. 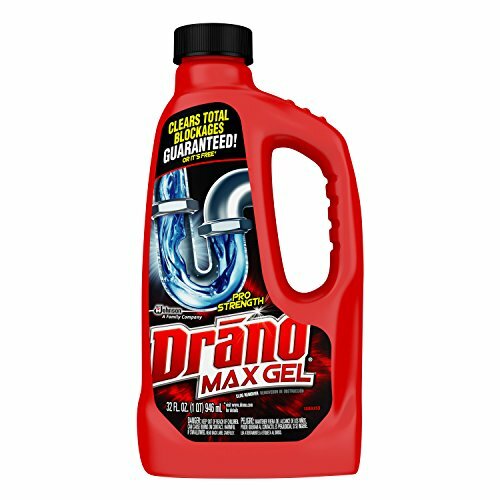 Whenever you faced the problem of clogged pipes or drains, Drano should be one name that you would do well to remember. The beauty of this product is the high-density chemical formulation, which allows it to reach exactly where it must – the clogs in the pipes or drainage systems, even through standing water. Moreover, the fast-acting formula ensures that you do not have to wait for long before your drains or pipes start functioning perfectly freely. In a pack of two 32 oz bottles, you would certainly be buying a good deal should you go for this product. 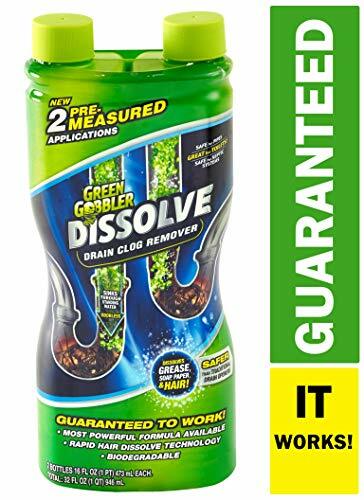 If you are looking for a is eco-friendly product, and yet super powerful and reliable enough to be used on your household drains, toilets, and sinks, you are looking at exactly that when you set your eyes on a drum of Liquid Clog Remover Dissolve Gel by Green Gobbler. While the product uses a high-density formula, which sticks to the pipe walls, it works by altering the pH level to easily break down and dissolve tough clogs due to grease, oil, paper, soap scum, hair, or any other organic matter. More importantly, the chemicals used in the product are much safer than sodium hydroxide or bleach, and thus, the environmentalist in you would be satisfied with having caused minimal damage to the ecology, if at all. 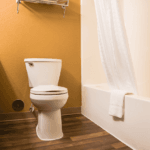 Common causes of clogging in bathrooms are usually hair, soap bits, and other organic material. Grease can cause clogging of kitchen sinks. Hair is a big problem when it comes to drainage systems. It can get entangled around a sink stopper or get collected or stuck in a drain pipe, thus causing clogging. Pieces of paper, plastic can get stuck in the toilet drains. Food particles and other disposable remnants are liable to cause kitchen sink clogs. Sometimes, any small toy or a foreign object can get stuck in a pipe thus causing a clogged drain. Other than the above, at times, hard water creates a layer of particles on the inner walls of the pipe and clogs the drains. Now that you know what causes a clogged drain, it is also important to keep in mind the things to avoid to keep your drains unclogged. 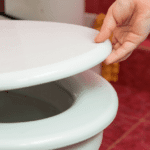 While it is difficult to completely avoid clogging, certain measures and practices can certainly help in keeping the drains open for longer periods of time. Since you know that mineral deposits, food particles, and other odd bits and pieces can cause clogging, it is vital that you stop disposing off these things in the drains. When in the kitchen, it would be prudent to dispose of bits of vegetables or leftovers, coffee beans, as well as coking grease in a small container and then put it into the trash, rather than draining it all in the sink. There are also a variety of filters or cups available that you can place over the sink, collect all the disposables in it, and then empty the filter into the trash. Another good practice is to run hot water through your drains every night. This will prevent clogging for extended periods of time. Different drain cleaners work in different ways. Chemicals are usually heavier than water. So these types of drain cleaners sink to the clogs through the standing water and dissolve it. Gel cleaners are usually thick and sink to the bottom too, to reach the clog. Drain cleaners usually break up the gunk or sludge into fragments allowing them to pass through the drainage pipes, or they dissolve them completely thus clearing the drainage pathways. These cleaners either contain bases like sodium hydroxide or potassium hydroxide, or oxidizing agents such as bleach, or even different acidic components like sulphuric acid. Any and all of these are super effective in unclogging drains. There is lots of variety of drain cleaners available in the market. Some acidic, some enzymatic; some in powder form while others in liquid or gel form. Different cleaners have different purposes and work best in specific areas. It would thus do well to understand your particular needs before choosing a drain cleaner. If you need a tough drain opener for super clogged drains in commercial areas, it would make sense to opt for acidic liquid cleaners which open the toughest clogs within minutes. If you’re looking for a safer option for your household needs, it would be wiser to opt for an anti-corrosive safe, non-acidic cleaner. Make sure that the product is suitable for your pipes and doesn’t damage them. Use the appropriate product by correlating it to the type of clog, vis., kitchen sinks, bathtubs, showers, and toilets. Don’t mix different cleaners. Rather use the same cleaner twice for tough clogs. Always flush out the drain cleaner with hot water. Longer exposure than directed can damage the pipes. Wear safety gear like gloves and goggles while using heavy grade cleaners. Also if the drain cleaner doesn’t work, don’t try to open your sink or pipes, contact a plumber. 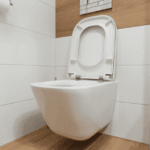 As you see, different drain uncloggers are good for different purposes, and as such, it would be difficult to pinpoint one best toilet unclogger liquid from among the choices mentioned above. We recommend you to first identify what is the purpose that you seek to use the unclogger liquid for, and then using it. Also, wouldn’t it be great if such a liquid is also eco-friendly? Clearly, from the above list, there are quite a few brands to be that. Also, with most brands have proven to be effective enough, as most of their users testify, you can also keep an eye on the discounts that are offered on a product before making a decision.